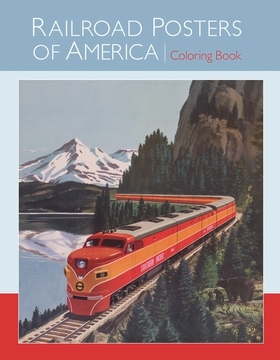 “America is a land of wonders,” famed French visitor Alexis de Tocqueville wrote in 1835, “in which everything is in constant motion.” Railroads have been a prime means of seeing those wonders since well before 1869, when the link-up of the Union Pacific and Central Pacific lines initiated the era of coast-to-coast train service. 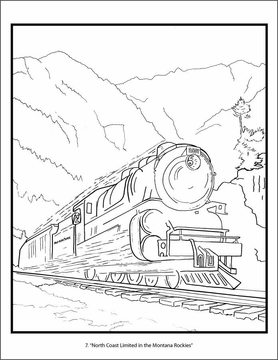 The twenty posters in this coloring book, works of art as well as advertisements, celebrate the romance involved in exploring America’s seashores, deserts, plains, and mountains by rail. They are shown as small pictures on the inside front and back covers. 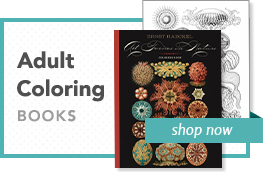 When you color the line drawings, you could choose to copy the originals or you might prefer to create your own color combinations. 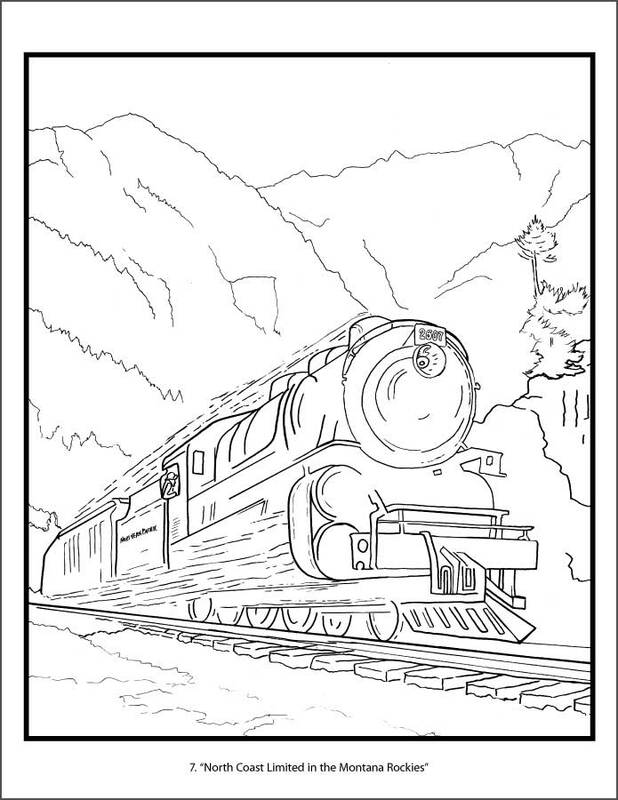 We’ve left the last pages of this coloring book blank so that you can draw and color pictures of your own. 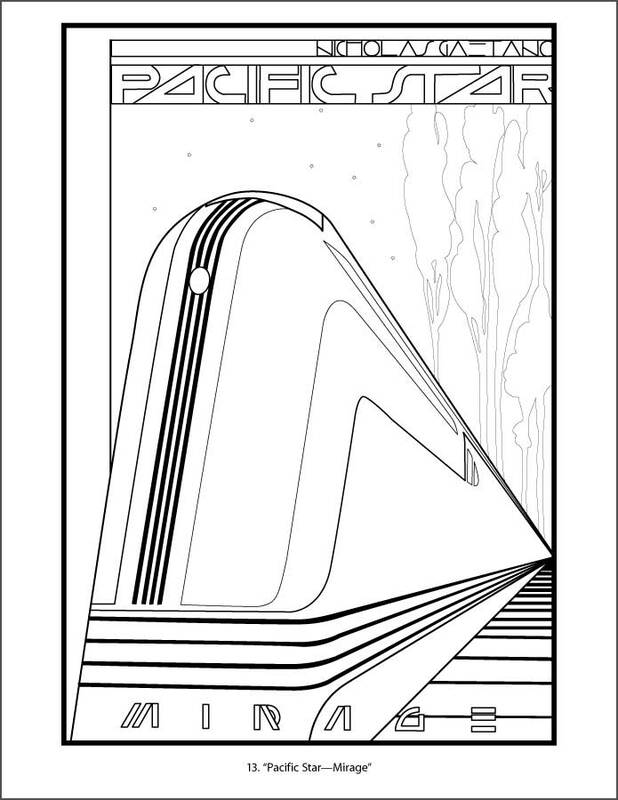 Will they feature trains traveling through cities and picturesque countrysides or will they be images wholly from your imagination? The Library of Congress Poster Collection, housed in the Library’s Prints and Photographs Division, includes more than 100,000 posters from around the world. They are among more than 145 million items, in many media and more than 460 languages, that form the Library of Congress collections. “New Mexico and Arizona Rockies. Land of History and Mystery—Travel by Train.” Color lithograph poster published by the Newman-Monroe Company, c. 1925. “The New Shasta Daylight—Southern Pacific.” Color lithograph poster, c. 1955. “Lewis and Clark Explored the Pacific Northwest . . . Northern Pacific, Yellowstone Park Line.” Color lithograph poster by artist Hilton (first name unknown), c. 1925. “Mt. 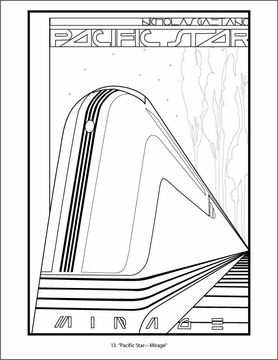 St. Helens—Northern Pacific North Coast Limited.” Color poster by artist Gustav Wilhelm Krollmann, c. 1925.